I purchased this tub filler and I have to say its awesome. the water flow is excellent along with a nice valve that allows you to switch from hot to cold. the installation was straight forward. the plumber did the install but I looked over his shoulders. the box that connects the hot and cold is mounted to the floor joists then the tile added on top. when it came to adding the filler it slips into the top of the box and the connection is made. Great product but also the folks that sell the product are awesome. The Colonna True Ofuro Floor Mounted Faucet is a blend of stylish practicality and modern design and has been specifically crafted to meet the technical requirements of the True Ofuro tub, manufactured with a height of 120cm. 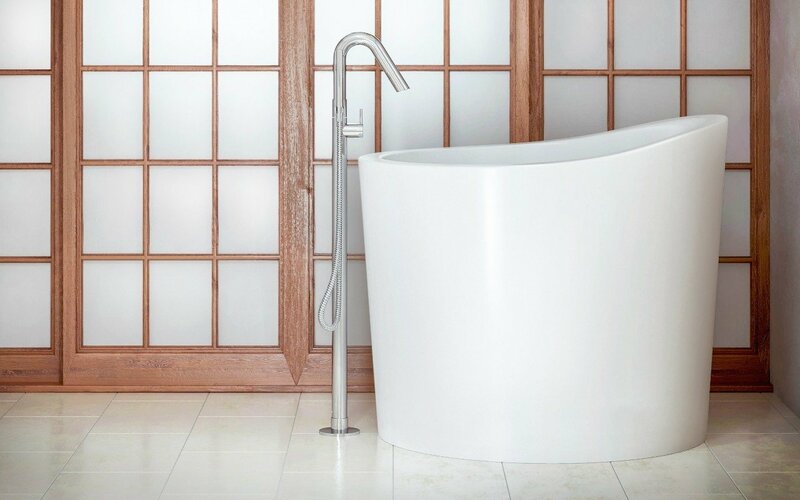 Designed in Italy, the floor mounted tub filler rises gracefully in a column, from the floor before gently curving at its peak. 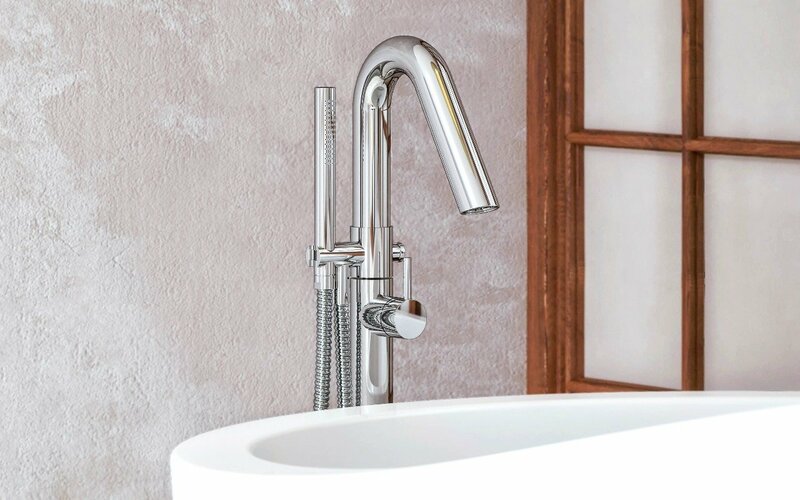 Constructed using quality solid brass, with a chrome finish, this unique Colonna Faucet features an elegant handheld shower attachment that offers targeted cleaning.